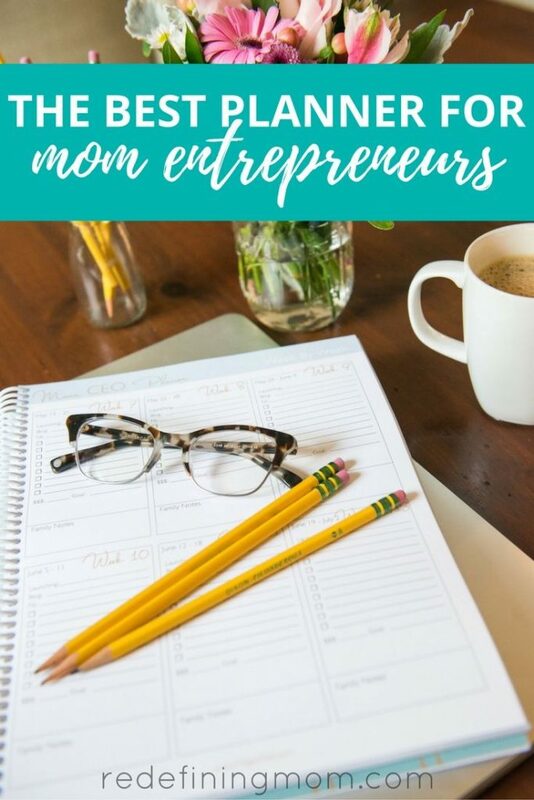 Ladies, I am so excited to share with you a planner for mom entrepreneurs that has revolutionized my life and my business. When I quit my corporate job this year, I was a bit lost and didn’t have a routine. I hired Megan Flatt to be my business coach and get me on the right track. She is an amazing organizer and has taught me not only how to plan my days but also how to make an effective 90-day plan that has literally doubled my income! I am so passionate about this planner that I became an affiliate. If you purchase this through my link I will receive a commission which doesn’t cost you any additional money. I wholeheartedly stand behind the awesomeness of this planner as I use it every day myself too! When Megan shared the Mama CEO Planner with me it was a game changer! I’m happy to be welcoming her to share with you a little bit more about herself and how this awesome planner can help you plan and organize not only your business life but your family life too. The Mama CEO Planner, My Favorite Planner for Mom Entrepreneurs! Welcome, Megan! Tell us a little bit about yourself and your business. I’m Megan. I started my business when my daughter was a baby, and my kids are 5 and 8 now. I wanted—and still do—to be actively present for my kids, and build a business I am passionate about. And that’s what I do as a business growth strategist for Mama CEOs: I empower Mama CEOs to create a fulfilling life and set a stellar example for their children. The Mama CEO Planner is the first planner I’ve seen that incorporates work and family. What made you decide to create a Mama CEO planner? First of all, I’m a planner junkie. I LOVE planning. I’ve probably tried hundreds of planners, but none of them really met my needs. So, a few years ago, I sat down and created my own personal planning sheets to meet my specific needs, which turned into the Mama CEO planner. What is the biggest challenge that you hope to solve for moms looking for a planner that suits their lifestyle? As Mama CEOs, we wear a lot of hats. We need to track business meetings and deadlines, revenue goals, but we also need to know when soccer practice is, when the kids have days off from school, and when somebody is coming to fix the furnace. Our lives aren’t compartmentalized, so our planning shouldn’t be either. The Mama CEO Planner puts all your plans in one place. What is your best time management tip for busy Mama CEOs who are overwhelmed? When I’m overwhelmed, I start with a big brain dump of everything that needs to get done. Just knowing that I don’t have to remember everything helps relieve stress. And by looking at everything, I can see what can get delegated, delayed, or deleted. Maybe my husband can take the kids to their appointment this week or I can postpone writing the content for my new program until next week—and maybe I really don’t have to go to the PTO meeting this month at all. I love to do my brainstorming and brain dumping on Post-it notes. I can move ideas around to see how things fit together and save ideas for later. And if I have a big idea I’m planning out, I can break it down into Post-it sized tasks. In fact, I created a whole course called My Tiny Empire on using Post-its to plan for your business, and it’s part of the Mama CEO Planner system. Who should purchase the Mama CEO Planner? The Mama CEO planner is designed by a Mama CEO for Mama CEOs, but it works well for anybody who needs to manage multiple roles. 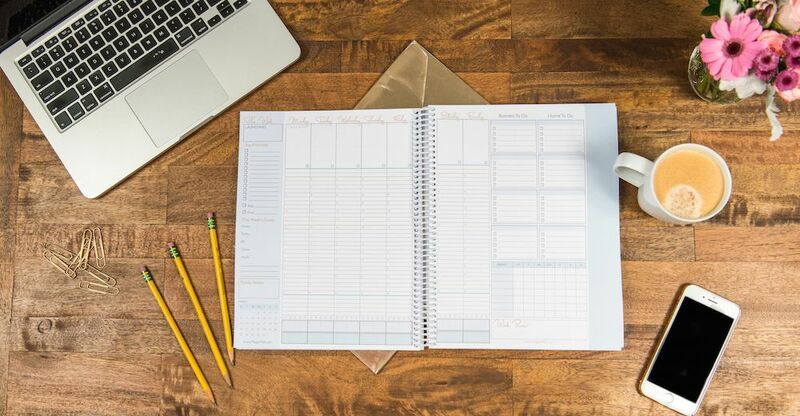 It has space for annual, quarterly, and monthly planning and a weekly breakdown to keep track of what you need to do when and your must do items. What do you get when you purchase the Mama CEO Planner? Your Ideal Plan (available Dec. 1*) is a four-part planning course to help you get the most out of your planner. I talk about the why behind planning and how a solid plan sets you up for success in business and at home. Then I’ll show you a page-by-page breakdown of how to use the planner to plan your year, quarters, months, weeks and days. And I’ll also show you many different suggestions and options for customizing the spaces inside your planner so that it works best for you. You can also buy the full Mama CEO Planner system that adds on two of my signature planning courses, Your Next 90 Days and My Tiny Empire. Your Next 90 Days is a virtual workshop to give you a plan to get to a specific result, plus the inside business knowledge to make sure it is the right move for YOUR business. The program includes a 30-page downloadable workbook to walk you through everything you need to think about from a big picture plan to the specific details inside your business. It also includes 6 short videos that take you through each section of the workbook step-by-step to help you create a customized strategy for your business. And 4 action planning worksheets (straight out of the Mama CEO Planner) to show you how to build your detailed 90-day plan and make sure it happens! My Tiny Empire is the Post-it note planning course I mentioned. It is a low-tech, high-impact system for formulating your next big project, creating your amazing business products and services, and planning out how to get it all done. All with one little office supply powerhouse you probably already have in your drawer. Why should someone that doesn’t use paper planners invest in the Mama CEO Planner? More importantly, the Mama CEO Planner isn’t just a planner. It’s truly a planning system to help you thrive in your business and in your home life. Your investment for EVERYTHING in the full system is $195. That’s the planner plus the exclusive Your Ideal Plan course, and two of my most beloved planning course that alone sell for over $270. You can also buy the planner without the bonus courses. You still get the Your Ideal Plan course and some other fun bonuses, for $97. Click here to buy your Mama CEO Planner today! Are you not yet a Mama CEO but want to be? Sign up for my free 7-day email course Busy Moms Building Online Businesses to get started on your own online business journey! Now that you’ve got your planner picked out for the year, how about some more fun tips to help you manage mommyhood a little bit better?